The American Recovery and Reinvestment Act of 2009 awarded more than $3 billion dollars of education money to the state of Illinois. As of April 2012, almost 96 percent of those funds have been dispersed, saving/creating education jobs and promoting educational reform. But reform hasn’t stopped with the end of the stimulus money—and as legislators continue to work toward improving their state’s school system, they particularly look to attracting more effective teachers to their public school classrooms. What’s the education climate in Illinois? How’s the job outlook for Illinois teachers? What benefits do Illinois teachers have? 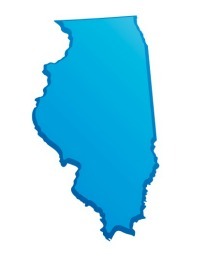 What are the credentialing requirements in Illinois? Illinois has been taking serious, targeted steps towards improving its public education. Annual state tests measure student progress against grade-level standards. High-performing and improving schools are examined for models, while failing schools are targeted for correction. Of course, students’ test scores can be affected by more than just their schools—parental involvement (or lack of) and economic background impact them, too. But when scores are high in a school despite a high level of poverty among the students, then educators in other schools in impoverished areas can look to the succeeding schools for help. The feedback gained from state testing is so important that Illinois upped the ante, closing a loophole that allowed many high school juniors to escape testing on college preparedness. This has resulted in 80 percent more students taking the state exams—and a significant drop in average scores. But this drop was due to the fact that in previous years only the best students took the test, instead of all students. The new results give a much more accurate picture of how the student population is doing, which in turn gives parents and teachers more information on how they’re doing, and how to respond. In order to continue improving feedback, new exams are due in 2014. These new exams will require written explanations of answers, demonstration of research skills, and require students to apply a given concept to a new context. The test questions are all based upon revised state standards for college and career preparedness, broken down into a grade-by-grade plan to properly equip students. Much of the 2009 stimulus money was targeted specifically to improving low-performing schools, through teacher training and development, providing resource support, and introducing technology to more classrooms. Additionally, a new data system was established to track students’ progress from kindergarten through 12th grade, to provide longitudinal data as well as snapshot data to educators improving the system. Another important reform in Illinois education is in regard to the hiring and firing of teachers. Previously, tenure and seniority were the most important factors for retaining teachers—meaning that schools often had to lay off newer teachers who were doing a much better job than others. Under the new reform, teacher achievement becomes more important than the number of years spent in a district. Tenure has not been eliminated (and high-performing new teachers can earn it within only three years), but performance is now more important than seniority in staffing decisions. Illinois actually joins several other states in reforming teacher hiring and firing—but Illinois has the advantage of bipartisan support for its reforms, whereas most other such reforms are disputed on party lines. Even Illinois teachers’ unions have supported the new reforms, after providing input on some of its aspects. Finally, Illinois is also looking to increase the length of its school day. For years, Illinois has had one of the shortest school days in the nation, and one substantially shorter than that of charter schools in the state. The added instructional time will be phased in as budgets (and teacher contract negotiations) allow. Illinois is adding 8,830 new teaching jobs a year (counting both growth and replacement of teachers retiring or otherwise leaving the profession)—a growth rate of 1.5 percent, about twice that for all jobs in Illinois (0.83 percent). With the changes regarding the importance of seniority, more positions will become available to new teachers than ever before. Teacher salaries in Illinois are already well above the average for all citizens of the state—but with the increase in the length of the school day, teachers’ unions may bargain for increased pay to compensate. However, state budget shortfalls may delay such an increase (in both teacher pay and school day). Since local property taxes make up the bulk of school funding in Illinois, opportunities for teachers may vary according to region. Schools surrounded by higher property values can spend up to three times as much per pupil on education, offering more programs (including more teaching positions, such as for music or computer science). On the other hand, schools struggling with performance—whether in a rich or poor area—will be free to hire new teachers to improve test scores. The school year in Illinois has a minimum of 176 days of student attendance (plus a few teacher in-service days); but few schools have days beyond the minimum. The standard schedule is from late August to early June, giving teachers the summers off. The teaching day is only five hours long—one of the shortest in the nation. The cost of living in Illinois is less than in states offering comparable teacher salaries; in terms of salary versus cost of living, Illinois is actually one of the most comfortable places in the nation for teachers to live. Teacher benefit packages include health, dental, and vision insurance, and a substantial retirement provision. The retirement age in Illinois is 55. At an average of $43,000/year (with a three percent annual cost-of-living adjustment), Illinois teacher pensions are better than those in the private sector for jobs of comparable salary—and among the highest in the nation even for federal employees. Unfortunately, this situation has put the state pension fund in the hole; there is a current political battle waging over how to fix the problem. But even if pension amounts are reduced, they will probably remain competitive nationally. In the meantime, factoring in the value of pension and health benefits, the average teacher total compensation package in Illinois is worth $105,000 annually. Several organizations in Illinois (see to the right) are devoted to teacher development, and to providing educational resources to Illinois teachers. These organizations often publish and discuss research on teaching programs and techniques, and often offer classroom activities or curriculum supplements to improve teachers’ classrooms. All teachers in Illinois public schools must possess at least a bachelor’s degree and have completed an accredited teacher preparation program (which may or may not involve a graduate degree). After completing such a program, you will have to pass two examinations, the Illinois Certification Teaching System (ICTS) Basic Exam, which tests for reading, mathematics, writing, and grammar; and the particular ICTS Content Area Exam, for whatever subject you’re applying to teach. A criminal background check is not required to obtain a credential, but it is a part of being hired to teach in an Illinois school. Illinois teaching credentials come in three tiers: an initial certificate, a standard sertificate (obtained after teaching for four years), and a master certificate. Find additional information about teaching certification in Illinois.